Kohler’s Habitat Masterbath Environmental Enclosure introduced in the late 1970s was an indoor sauna-meets-sunning bed with three cycles: Sun, Steam and Rain. According to reader Ryan, it cost $20,000 back in the day — wow! Want one? 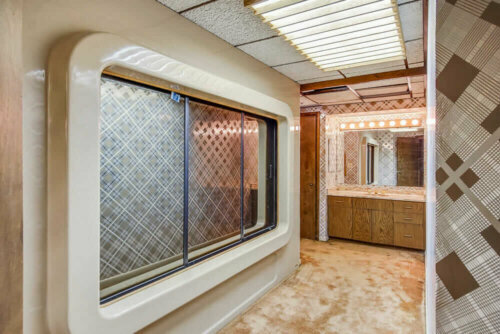 : It comes with this 1979 time capsule house in Sturgis, Mich., via listing agent Dennis Bamber of Cressy & Everett Real Estate. In their comments here on the original story, readers identified a bunch of wonderful features inside this amazing house. 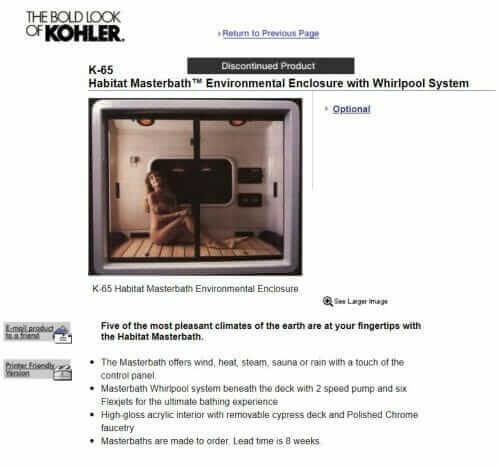 Reader Steve H. was first to spot the Kohler Habitat Masterbath Environmental Enclosure. I wonder if that big recessed box in the bathroom (right after the pool pics) could be a Kohler Habitat Environmental Enclosure? There can’t be many of those around anymore! 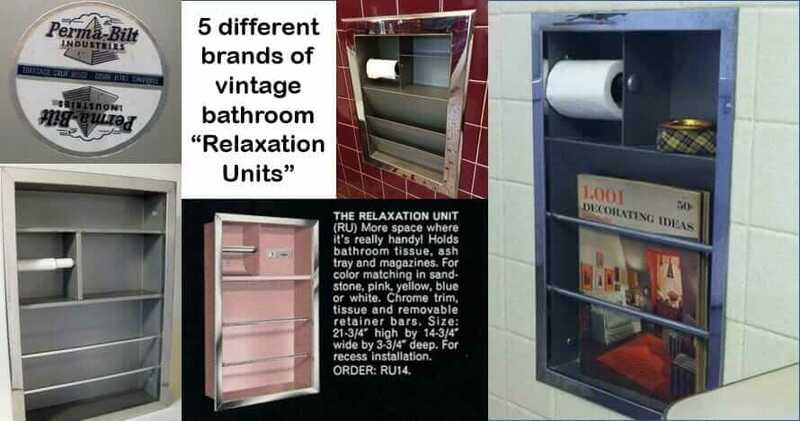 I thought the same thing about the Kohler habitat. Those were over $20K back in the 80s! 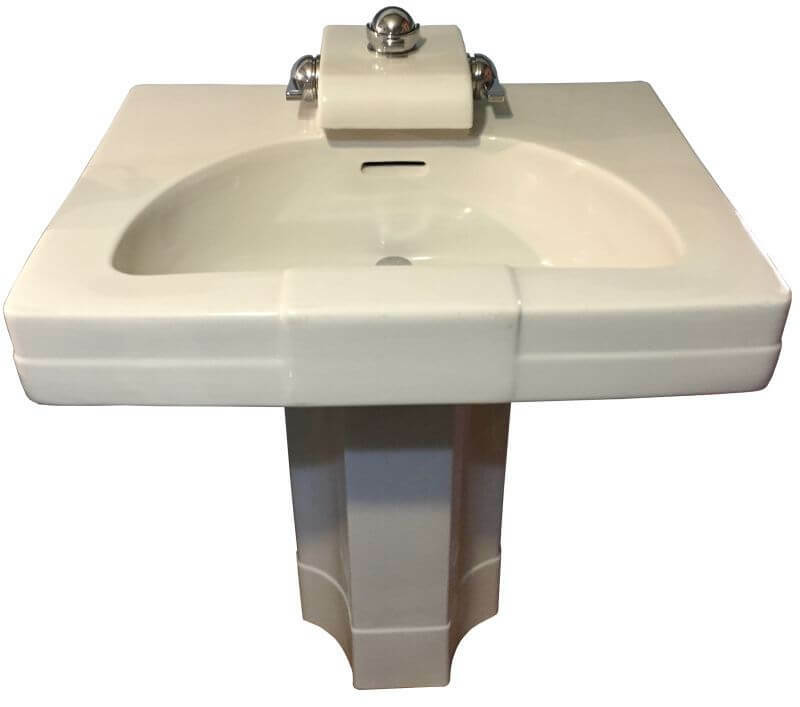 Googling around, I found the Owner’s Manual to the Kohler Habitat Masterbath here. It explains the three cycles. Yowza. I need one NOW! 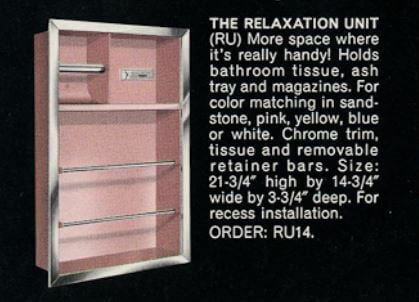 Talk about “spa” bathrooms — they weren’t invented in the 21st Century — this is proof they were invented in … 1978! Thank you, Steve H. and Ryan, what fun fun fun — in the sun, steam, and rain! This one also makes the Woddities — “wonderful oddities” list — 11 years into this blog, they’re harder and harder to come by, we’ve seen soooo much.